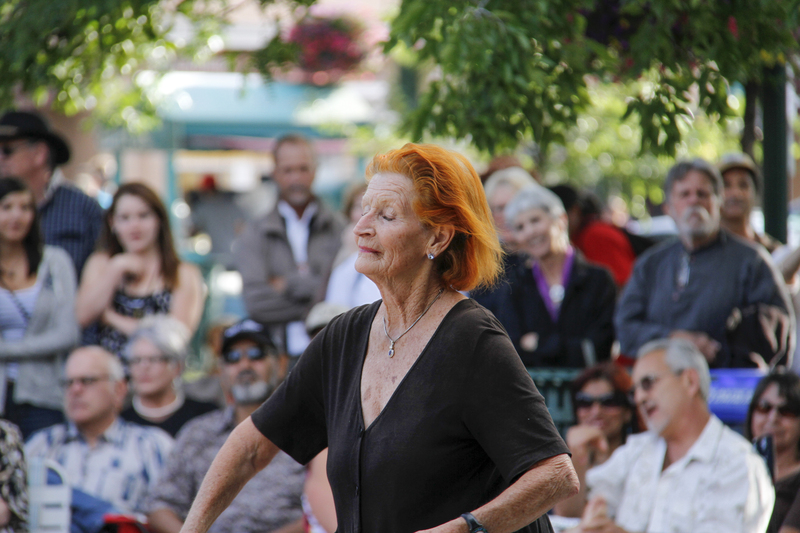 During the summer in Santa Fe bands play under a large gazebo and the local community comes to watch, listen, dance (with or without a partner) and generally do their own thing, as this interesting woman is doing dancing by herself and interpreting the music in her own special way. It’s Santa Fe community in spades. See more community images at the WordPress Weekly Photo Challenge. Vibrant color! Nice. Thanks for the likes on the blog, too. Bet you are enjoying lovely weather compared to us! Thanks, Ruth. I’m actually in Philadelphia this week so I’m suffering through the same miserable weather everyone else in this time zone is. Merry Christmas!